Come See SFGE @ MomoCon! 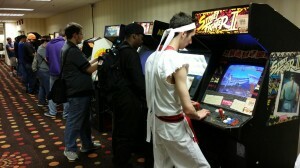 We’ve set up a mini-arcade at MomoCon! Twenty-four (24!) 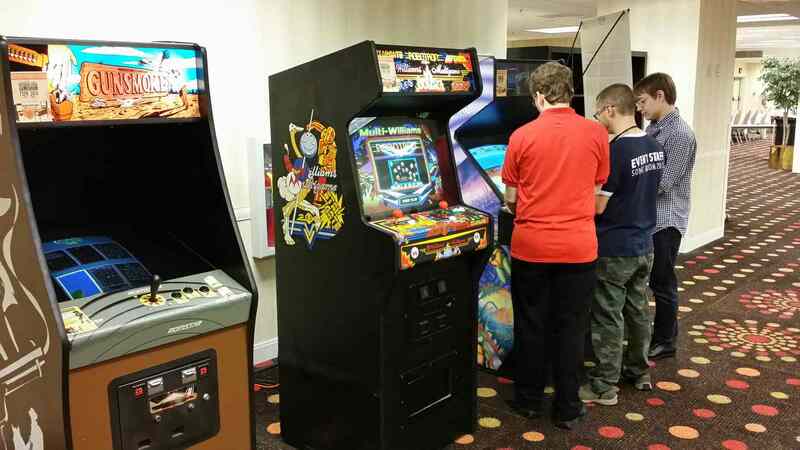 games are all set on free play, so come on by to see us and try to get a high score! Some of the games we have onsite include Pac-Man (multicade), Gyrus, Donkey Kong, Tempest, Asteroids, Gunsmoke, a Williams multicade, Galaga, Ms. Pac-Man, and three pinball machines (Indy 500, AC/DC Premium, and Metallica).